(c) radio-active wastes as covered under the provisions of the Atomic Energy Act, 1962 (33 of 1962) and rules made there under. (l) 'extended producer responsibility' means responsibility of any producer of electrical or electronic equipment, for their products beyond manufacturing until environmentally sound management of their end-of-life products. Words and expressions used in these rules and not defined but defined in the Act shall have meanings respectively assigned to them in that Act. (9) filing annual returns in Form 3, to the State Pollution Control Board or Pollution Control Committee concerned, on or before the 30th day of June following the financial year to which that return relates. (5) maintain records of the e-waste handled in Form 2 and make such records available for scrutiny by the State Pollution Control Board or the Pollution Control Committee concerned. (2) bulk consumers shall maintain records of e-waste generated by them in Form 2 and make such records available for scrutiny by the State Pollution Control or the Pollution Control Committee concerned. (8) not process any e-waste for recovery or refining of materials, unless he is registered with State Pollution Control Board as a recycler for refining and recovery of materials. (5) file annual returns in Form 3, to the State Pollution Control Board or Pollution Control Committee concerned as the case may be, on or before 30th June following the financial year to which that returns relate. (1) Every producer of electrical and electronic equipment listed in Schedule I, collection centre, dismantler and recycler of e-waste shall obtain an authorization from the State Pollution Control Board or Pollution Control Committee of Union territories concerned as the case may be. Provided further that a recycler of e-waste who has not been authorized under the provisions of the Hazardous Wastes (Management, Handling and Transboundary Movement) Rules, 2008, shall require authorization following the procedure mentioned in sub-rule (1) above. (3) On receipt of the application complete in all respects for the authorization, the State Pollution Control Board or Pollution Control Committee of Union territories may, after such enquiry as it considers necessary and on being satisfied that the applicant possesses appropriate facilities, technical capabilities and equipment to handle e-waste safety, grant within a period of ninety days an authorization in Form-1(a) to the applicant to carry out safe operations in the authorized place only, which shall be valid for a period of five years. (4) The State Pollution Control Board or Pollution Control Committee of the Union territories after giving reasonable opportunity of being heard to the applicant shall refuse to grant any authorization. (5) Every person authorized under these rules shall maintain the record of e-waste handled by them in Form-2 and prepare and submit to the State Pollution Control Board or Pollution Control Committee, an annual return containing the details specified in Form 3 on or before 30th day of June following the financial year to which that return relates. (6) An application for the renewal of an authorization shall be made in Form-1 at before sixty days of its expiry and the State Pollution Control Board or Pollution Control Committee may renew the authorization after examining each case on merit and subject to the condition that there is no report of violation of the provisions of the Act or the rules made there under or the conditions specified in the authorization. (7) Every producer of electrical and electronic equipment listed in Schedule I, collection centre, dismantler and recycler of e-waste shall take all steps, wherever required, to comply with the conditions specified in the authorization. (8) The State Pollution Control Board in case of a respective State or the Pollution Control Committee in case of Union Territories shall maintain a register containing particulars of the conditions imposed under these rules for environmentally sound management of e-waste, and it shall be open for inspection during office hours to any person interested or affected or a person authorized by him on his behalf. (1) The State Pollution Control Board or Pollution Control Committee of the Union Territories may, if in its opinion, the holders of the authorization has failed to comply with any of the conditions of the authorization or with any provisions of the Act or these rules and after giving a reasonable opportunity of being heard and after recording reasons thereof in writing cancel or suspend the authorization issued under these rules for such period as it considers necessary in the public interest. (2) Upon suspension or cancellation of the authorization, the State Pollution Control Board or Pollution Control Committee of the Union Territories may give directions to the persons whose authorization has been suspended or cancelled for the safe storage of the e-waste and such person shall comply with such directions. Provided further that a recycler of e-waste who has not been registered under the provisions of the Hazardous Waste (management, Handling and Transboundary Movements) Rules, 2008, shall require registration following the procedure mentioned in sub-rule (1) of rule 11. (2) The State Pollution Control Board, on being satisfied that the application is complete in all respect and that the applicant is utilizing environmentally sound technologies and possess adequate technical capabilities, requisite facilities and equipment to recycle and process e-waste, may grant registration to such applicants stipulating therein necessary conditions as deemed necessary for carrying out safe operations in the authorized place only. (3) The State Pollution Control Board shall dispose of the application for registration within a period of ninety days from the date of the receipt of such application complete in all respects. (4) The registration granted under these rules shall be valid initially for a period of two years and thereafter for a period of maximum five years on subsequent renewals from the date of its issue, unless the operation is discontinued by the unit or the registration suspended or cancelled by the State Pollution Control Board. (5) The State Pollution Control Board may after giving reasonable opportunity of being heard to the applicant, by order, refuse to grant or renew. (6) The State Pollution Control Board shall monitor the compliance of conditions stipulated for granting registration. (7) The State Pollution Control Board may cancel or suspend a registration granted under these rules, if it has reasons to believe that the registered recycler has failed to comply with any of the conditions of registration, or with any provisions of the Act or rules made there under, after giving an opportunity to the recycler to be heard and after recording the reasons there for. (8) An application for the renewal of registration shall be made in Form-4 before sixty days of its expiry and the State Pollution Control Board or Pollution Control Committee may renew the registration after examining each case on merit and subject to the condition that there is no report of violation of the provisions of the Act or the rules made there under or the conditions specified in the registration. (10) The Central Government and the Central Pollution Control Board may issue guidelines for standards of performance for recycling processes from time to time. (ii) the waste which needs to be specifically stored for development of a process for its recycling or reuse. Provided that a maximum concentration value of 0.1% by weight in homogenous materials for lead, mercury, hexavalent chromium, polybrominated biphenyls or polybrominated diphenyl ethers and of 0.01% by weight in homogenous materials for cadmium shall be permitted. (2) The applications listed in Schedule-II shall be exempted from provisions of sub-rule (1) of rule 13 . (3) The sub-rule (1) of rule 13 shall not apply to components of electrical and electronic equipments manufactured or placed in the market six years before the date of commencement of this rules. (4) In the event of such reduction in the hazardous materials used in the electrical and electronic equipment, the detailed information on the constituents of the equipment shall be provided in the product information booklet. 14. Duties of Authorities.- subject to the other provisions of these rules, the authorities shall perform duties as specified in Schedule-III. (1) The State Boards and the Committees shall prepare and submit to the Central Pollution Control Board an annual report with regard to the implementation of these rules by the 30th September every year in Form 5. (2) The Central Pollution Control Board shall prepare the consolidated annual review report on management of e-waste and forward it to the Central Government along with its recommendations before the 30th December every year. 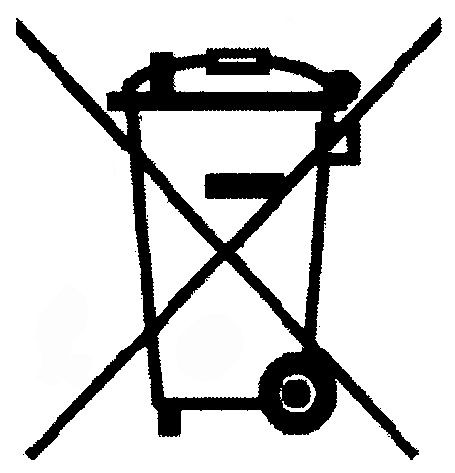 (1) In case of transportation of e-waste for final disposal to a facility in a State other than the State where the waste is generated/collected, the transporter shall obtain 'No Objection Certificate' from the State Pollution Control Board concerned and shall intimate the State Pollution Control Board of the State(s) of transit. (2) In case of transportation of e-waste for dismantling or for recycling in a State other than the State where the waste is generated or collected, the transporter shall give prior intimation to the State Pollution Control Boards concerned and the State Pollution Control Board of the State(s) of transit. 17. Accident reporting and follow-up.- where an accident occurs at the facility processing e-waste or during transportation of e-waste, the producer, transporter, dismantler or recycler, as the case may be, shall report immediately to the State Pollution Control Boards or Committees of Union Territories about the accident. 18. The collection, storage, transportation, segregation, refurbishment, dismantling, recycling and disposal of e-waste shall be in accordance with the procedures prescribed in the guidelines published by the Central Pollution Control Board from time to time . 7(c)-I Electrical and electronic components containing lead in a glass or ceramic other than dielectric ceramic in capacitors, e.g. piezoelectronic devices, or in glass or ceramic matrix compound. 9 Hexavalent chromium as an anticorrosion agent of the carbon steel cooling system in absorption refrigerators up to 0.75 % by weight in the cooling solution. 9(b) Lead in bearing shells and bushes for refrigerant-containing compressors for heating, ventilation, air conditioning and refrigeration (HVACR) application. 15 Lead in solders to complete a viable electrical connection between semiconductor die and carrier within integrated circuit flip chip packages. 17 Lead halide as radiant agent in high intensity discharge (HID) lamps used for professional reprography applications. 19 Lead with PbBiSn-Hg and PbInSn-Hg in specific compositions as main amalgam and with PbSn-Hg as auxiliary amalgam in very compact energy saving lamps (ESL). 25 Lead oxide in surface conduction electron emitter displays (SED) used in structural elements, notably in the seal frit and frit ring. 39 Cadmium in colour converting II-VI LEDs (< 10 ug Cd per mm2 of light-emitting area) for use in solid state illumination or display systems . 2. State Pollution Control Boards/Committees of Union territories (i) Inventorization of e-waste. (v) Maintain information on the conditions imposed for authorization etc. (ii) To ensure that e-waste pertaining to orphan products is collected and channelized to either authorized collection centre or dismantler or recycler.